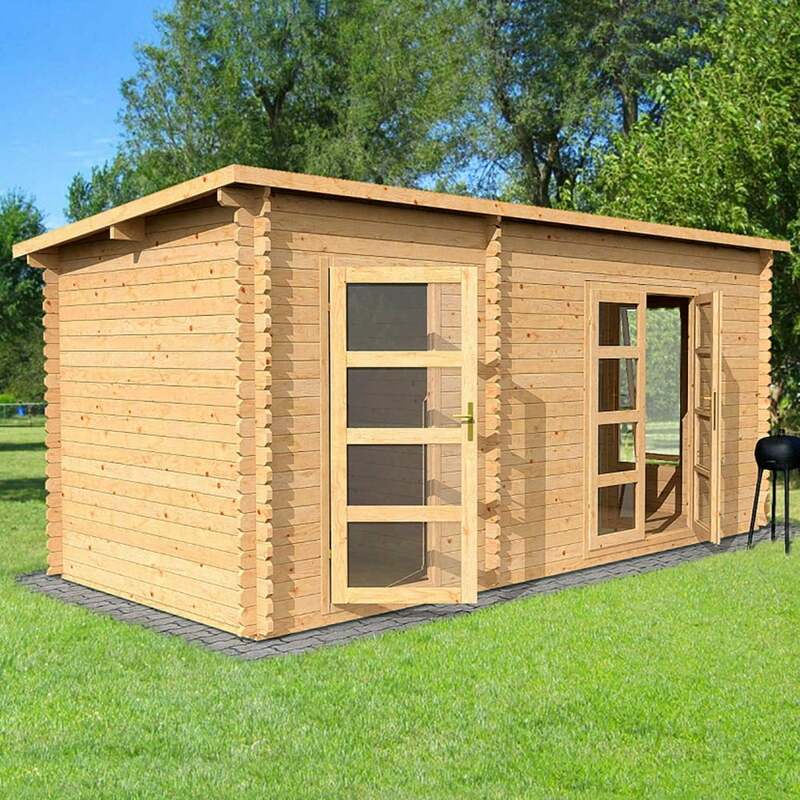 Mercia 5.4m x 2.5m Two Room Log Cabin: The Mercia 5.4m x 2.5m dual room log cabin is the perfect garden building offering two spacious rooms accessed by separate glazed doors. The two room outdoor building is a multi-purpose space ideal as a home office, relaxing garden retreat or to entertain friends and family. The floor and roof of the Mercia Log Cabin are made from 19mm thick tongue and groove timbers to add strength to the log cabin. The 5.4m x 2.5m Two Rooms building features a single and double glazed doors both with locks and keys to keep the cabin secure when not in use. The larger room features a tall opening safety glass window to provide ventilation and natural light and is available in single or double glazed.